Today, we have co-petitioned the state of California for a proposed amendment regulating the breeding and possession of hybrid cats. Our mission is to rescue wild cats; i.e. lions, tigers, leopards, cougars, etc. We can barely keep up with the demand for big cats in need of sanctuary. Now, the calls for hybrid cat rescues have become just as overwhelming. Through our educational campaigns and lobbying efforts for strengthened regulations, we hope to put an end to the number of cats, both big and little, in need of rescue. Find out more about hybrids HERE. SACRAMENTO– Today, the national nonprofit Animal Legal Defense Fund (ALDF), with co-petitioners Big Cat Rescue, Born Free USA, WildCat Haven, and Wildcat Sanctuary, submitted a petition to the California Department of Fish and Wildlife (CDFW) proposing a rule to amend regulations regarding the breeding and possession of controversial “hybrid” cats. These cats are a result of interbreeding domestic cats with exotic cats. 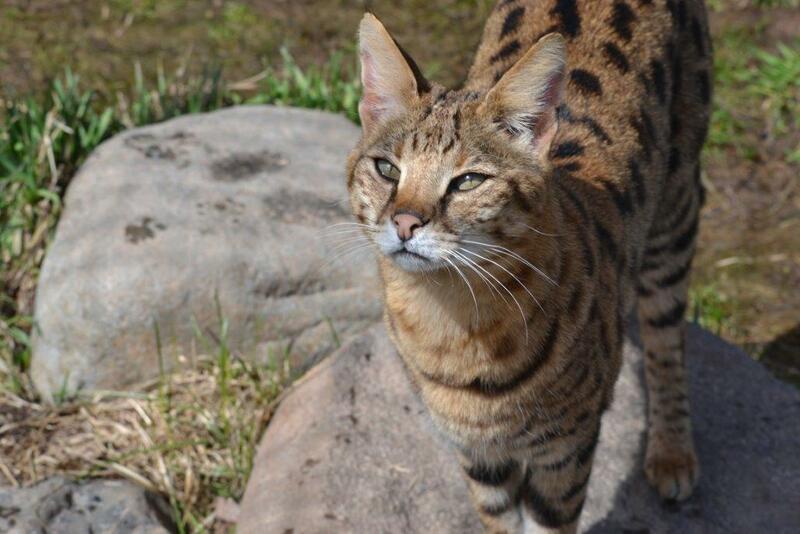 ALDF argues that these hybrid breeds, like Savannahs and Bengals, are unregulated and pose a threat to public health, native wildlife, and animal welfare in California. These trendy “Franken-felines”—popularized by high-profile owners like Kourtney Kardashian and Kristen Stewart–have sold for tens of thousands of dollars, as breeders seek to create a pet with the appearance of a wild animal. This interbreeding creates new dangers as wild cats integrate into domestic settings. Many states have imposed restrictions on hybrid cats; Alabama, Georgia, Hawaii, Nebraska, and Rhode Island, ban hybrid cats outright, as do Australia and New Zealand. These larger than average cats often grow up to spray, bite, and otherwise wreak havoc. Because of this, hybrid cats are at increased risk of abandonment by owners unprepared for their wild behavior. Animal shelters are hesitant to take these dangerous animals in because of the unlikelihood of their adoption. Public health concerns include increased aggressiveness and lack of an approved rabies vaccine. Native wildlife is also threatened by the presence of hybrid cats, who possess amplified hunting prowess. ALDF’s proposed amendments ensure that California’s regulation of hybrid cats, found in 14 C.C.R. § 671, follows the state legislature’s requirements to restrict wild animals who are a “menace to native wildlife” or whose possession threatens animal welfare under Cal. Fish & Game Code §§ 2118 & 2118(i).